Lynda Moore Copple earned a BS in education from Baylor in 1979 and an MA in education from Texas Wesleyan College in 1985. She served the Arlington Independent School District (AISD) for 14 years as a teacher in every elementary grade, from kindergarten through sixth grade. She taught as an English as a Second Language (ESL) teacher in AISD’s formative years of the program and served as a contributor to multiple district curriculum writing committees, as a teacher mentor and as a district-level teacher trainer. Robert Copple graduated from Baylor with a BBA in 1980 and an MPA in 1981. After beginning his career working with clients in the tax practice at Deloitte and Touche, he spent 20 years at Cinemark Holdings, a Plano-based theater chain with more than 500 locations in the United States and 14 Latin American countries. He served Cinemark as CFO until 2014 and then as president and COO until 2016, when he left to pursue personal interests. He is a director and chairman of the board at Legacy Christian Academy in Frisco, where the Copples’ children, Lisa and John Michael, attended school. 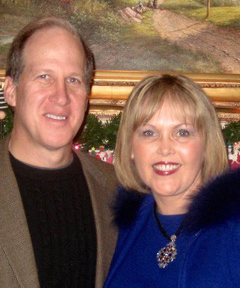 Their son, John Michael Copple, is a current Baylor student.